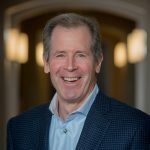 Bill R. Sanford is Founder and Chairman of Symark LLC, a business development organization formed in 1979 and headquartered in Naples, Florida. He is a dedicated practitioner and outspoken advocate of Entrepreneurship, Innovation, and Advanced Technology Commercialization. Mr. Sanford is an experienced executive, entrepreneur, consultant, investor, and board member with extensive new venture, merger and acquisition, turnaround, senior management, and market development experience. His direction of Symark has been focused on the development and commercialization of biosciences systems, products and services, clinical information systems, nanotechnology, and other innovative technology applications. He holds several patents related to medical devices and advanced technology. Among his commercialization successes is STERIS Corporation (NYSE:STE), a global leader in infection and contamination prevention systems, products, services, and technologies. As Executive Founder and Chairman of the Board, President, and Chief Executive Officer, he led STERIS in only ten years from a start-up with five employees and a $3 million valuation to a NYSE-listed public company with 5,000 employees and a market value of $2 billion. Through Symark and multiple investment partnerships, Mr. Sanford is an active early stage and private equity investor. He serves as a board member and advisor to numerous public and private for-profit and not-for-profit organizations ranging from NYSE-listed multinational corporations to early and growth stage technology companies and investment partnerships. He is Chairman of Integer Holdings Corporation (NYSE:ITGR), former director of KeyCorp (NYSE:KEY) and KeyBank N.A., trustee of Cleveland Clinic, and trustee emeritus of Case Western Reserve University. 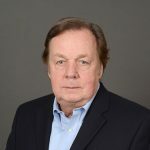 Mr. Sanford is founding and past Chairman of BioEnterprise, a biosciences commercialization organization whose members and partners include Cleveland Clinic, Case Western Reserve University, University Hospitals Health System, and Summa Health System. In addition, Mr. Sanford is chairman emeritus of NorTech (Northeast Ohio Regional Technology Coalition), and has served as Vice Chairman of BioOhio, a charter member of the State of Ohio Technology Action Board, Vice Chairman and board member of the Kansas Bioscience Authority, Chairman of the Heartland BioVentures Advisory Council, and director of the Kansas State University Foundation. He is a Fellow of the American Institute for Medical and Biological Engineering (AIMBE).